My little man will be turning 2 next month! I simply love sweet little handmade toys, I hosted a holiday handmade craft exchange in December with a group of local moms and it was so much fun seeing what everyone created, and the toys my children received are among their favorites. I thought it would be fun to host an online craft exchange in celebration of Eoghan's Birthday. Here's how it will work, if you want to participate Email me with your address and leave me a comment on this post so I know to look for your email (incase it goes into a spam folder). Your address will only be shard with your craft swap partners so they can mail their crafts to you. Please sign up no later than, January 18th so I know how many participants we will have and I can get everyone their craft partners names quickly. You will make three handmade toys and send those to the three addresses sent to you no later than February 14th, and you will receive one handmade toy in the mail from three other crafters. Please send me a photo of your crafts so I can include them in a gallery of our craft exchange. Some examples of what types of toys that we had for our holiday craft exchange included Peg dolls with a story, Knit animals, felt food, hand sewn balls and beanbags, vegetable dyed playsilks, nature table figures, needle felted animals, felt angels, wool animals, wool dolls etc etc. Be creative these are just a few examples but seeing what ideas people come up with is part of the fun! Oh I just cannot wait to see how excited Eoghan will be when we find special packages in our mailbox for him! Here's a few photos of what I have been having fun, crafting recently, they are listed on my Etsy shop. One of my New Year's resolutions is to try to maintain a little handwork shop on Etsy this year to help off set the cost of craft supplies, namely my addiction to yarn. Happy Crafting! 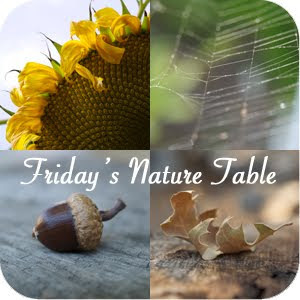 Shared on The Magic Onion's Friday Nature Table and Waldof Wednesday at Seasons of Joy Blog. Look for my email with my address. I would like to join the swap! Karen, can you send me your address again I beleive I had a broken link on this post, but it has been corrected. Hi Cynthia -- It looked like my comment posted twice so I tried to delete one comment, and they both went away. Anyhow, sounds fun. count me in. Oh wonderful Margaret! I got your info too, thank you for alerting me to the broken link, I believe it has been corrected. Yay! I am so glad people are signing up! Christina can you send me your mailing address to the email link. Thanks so much! I would love to participate in the craft exchange. I'd like to participate. I'm having trouble emailing you, so could you please email me at jtv9482@yahoo.com? Can I participate from Spain? I would enjoy it so much. My mail is sylvia1606@hotmail.com. Thanks!